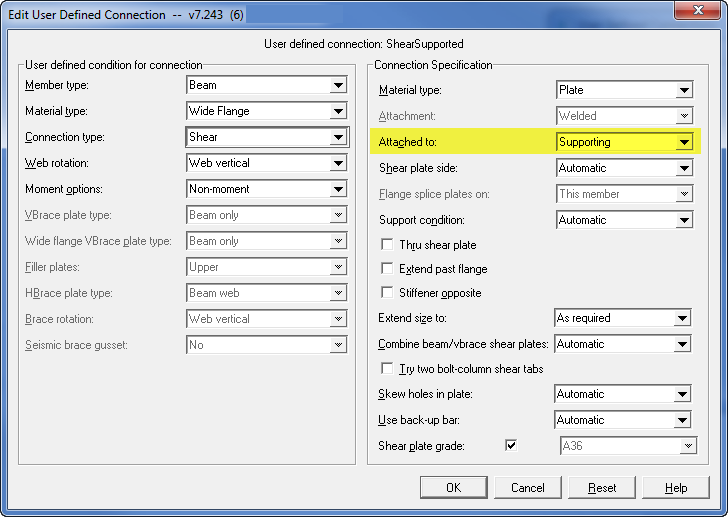 In SDS/2 version 7.2, you have the ability to select which member you want your shear tab to be attached to. 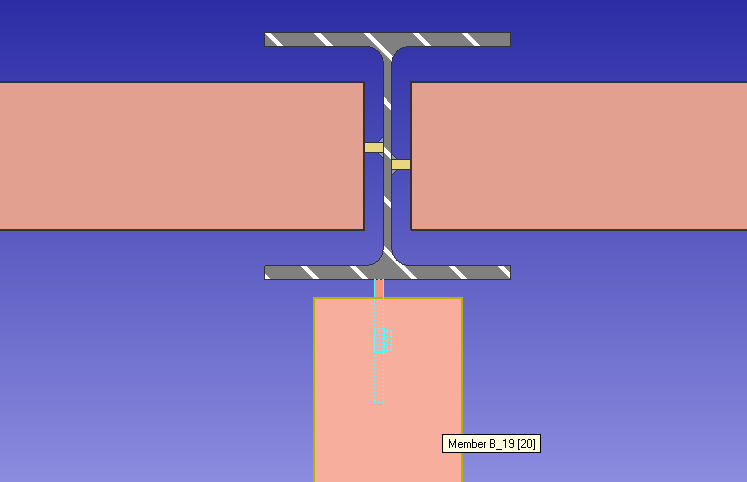 In previous versions, SDS/2 would always attach the shear tab to the supporting member; this would force the user to copy the shear tab to the supported member, making the connection graphical. 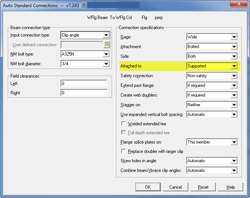 With this option, the connection will remain a system connection, giving the user all the necessary design calculations. There are several places to set this option, starting with the member edit screen. 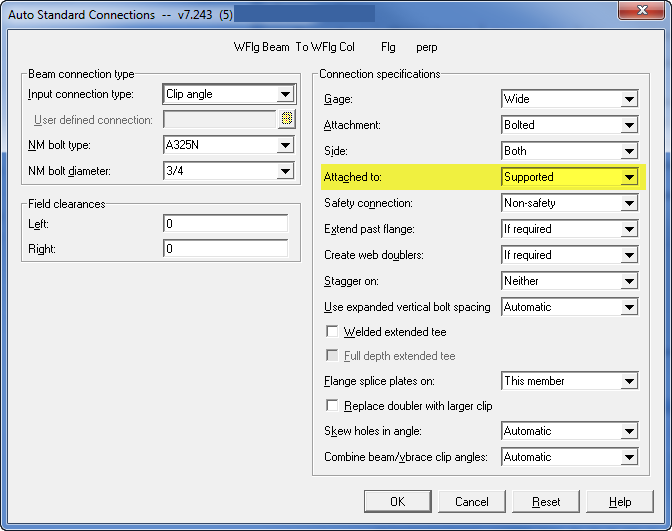 When editing a beam, with Shear set as the Connection Type, under the Con Spec section is the option “Attached to:” that can be set to either Supported or Supporting. When set to Supported, the shear tab will be attached (detailed/shipped) to the beam, as shown in figure 1. Attaching the shear tab to the beam even though it is welded to the column is most often used when connecting to an existing structure, although it is not limited to this situation. 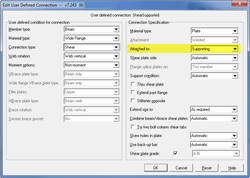 If it is set to Supporting, the shear tab will be attached to the column, using the same example. This option can also be utilized in Auto Standard Connections (figure 2) and User Defined Connections (figure 3).